Misinterpretation of the bus stop sign? 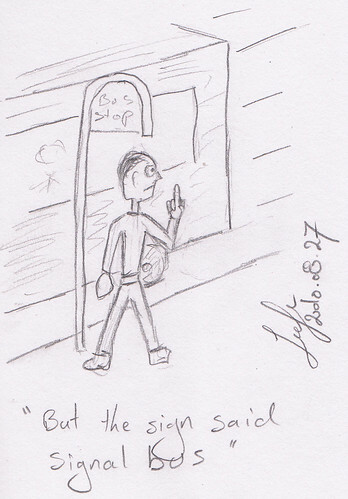 This entry was posted in Comics, Humor and tagged bus, cartoon, sign, sketch. Bookmark the permalink.